A lot of people do the strangest things trying to gain respect, but fail precisely because they are seeking it. James C. Lee has gained it in abundance because he didn’t seek it. He just spent his life doing what truly respectable men do. That wasn’t easy for a black man growing up in the south. But he worked hard to get into college. 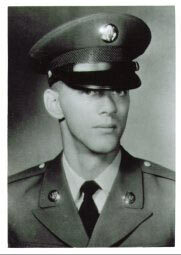 Then, while in college, he was drafted into the United States Army. At the time, black men were assigned only to all-black units. Well, almost all-black. All officers above the rank of lieutenant were white. Army life for a black soldier at that time was not just systematically degrading; it could be downright dangerous – right here in the United States. 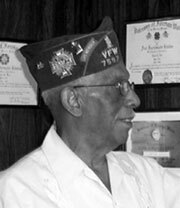 Lee was in the Shenango Personnel Replacement Depot awaiting overseas assignment on the night of July 11, 1943, when conflict a between white and black soldiers ended up deadly. Assigned to the all-black 2nd Cavalry Division, Lee was sent to Casablanca in North Africa, where the division was dismantled to make up replacement units. 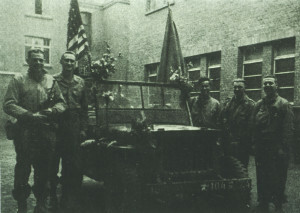 Lee became Electrician Foreman in the 1334 Engineer Construction Battalion, which was responsible for furnishing electricity for military hospitals in Italy. Lee worked with his unit all the way from Naples up to the Italian Alps. They were there when the war ended in May. After the war, Lee returned to Farrell. Despite his outstanding qualifications and electrical experience, he found all doors closed to him because of the color of his skin. Always one to overcome adversity, he opened his own radio and television repair business which he ran successfully until his retirement. For fifty years Lee has been a dynamic member of the Veterans of Foreign Wars. He has served as post commander, district commander, and many years as quartermaster of VFW Post 7597. The walls of his VFW office are covered with evidence of the respect Lee has earned: countless certificates and plaques honoring his service to his fellow veterans. MSG (ret.) Peggy Mazyck strongly felt that she should not be included among the veterans honored in this program. She feels that there are thousands of others who have done more, sacrificed more, suffered more. She belongs in it, however, because there are hundreds of millions of Americans who have done far, far less. Without people serving honorably and diligently in the military reserves, our country could not field a viable fighting force when it needs to do so. Peggy enlisted in the Reserves while she was a student at Indiana University of Pennsylvania. Assigned to the 347th Quartermaster Company in Farrell, she worked her way up through the ranks, eventually becoming platoon sergeant for the Product Control Section. That made her a vital part of the 347th Company’s mission: to provide fuel to combat operations of all branches of the service throughout the world. Without it, tanks could not run on the battlefield; jet fighters could not attack; cargo planes could not bring in troops, equipment, and supplies. Her unit conducted petroleum supply operations all over the USA, and completed a tour in Korea. Sgt. Mazyck achieved numerous awards including several Army Commendations Medals. In the mid-1980s, Sgt. Mazyck transferred to the 1036th US ARMY Reserve Force School, which is also headquartered in Farrell. Because of the knowledge she accumulated, she became Chief Instructor/Writer, eventually being promoted to master sergeant. During Operation Desert Storm, MSG Mazyck was activated to the Quartermaster School in Ft. Lee, VA, where she trained soldiers in petroleum supply operations. After this tour of duty, she returned to the USAR School in Farrell until her retirement from the Army in 2002. The next time you see a Reservist, shake his or her hand and thank them for their vital service. They may not fit the normal concept of heroes, but without them, there wouldn’t be many heroes. Sam Stanovich loved baseball. One of his favorite players was Joe DiMaggio. But DiMaggio was never Sam’s hero. “My heroes are all the kids who died in the wars,” he said. Sam and all four of his brothers served in war zones. Fortunately, none of them were heroes as Sam defines the word. Drafted in 1942, Sam didn’t like military life. Actually, he did a quite a bit more than he had to do. He volunteered for a mission that earned him a Bronze Star and a Russian medal, and got his name in a couple of books about World War II. 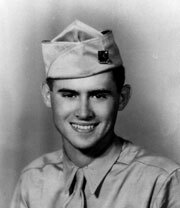 Sam was drafted in 1942, two years after graduating from the new Farrell High School. He went to basic training and radio school at Fort Hood, Texas. Then he took some tests for the Army Specialized Training Program, which sent selected soldiers to study at universities, supposedly for 18 months. They were to become officers designated to help restore civilian governments in Europe after the war. Unfortunately, the program was terminated after about six months when the army started preparing for the invasion of Europe. “They sent us to beef up the divisions that were in the process of going overseas,” Sam said. Sam’s unit, the Reconnaissance Troop of the 104th Infantry Division, landed in Cherbourg, France, on September 7, 1944, exactly three months after the Normandy invasion. The Allies needed the port of Antwerp to transport supplies from England to a big supply depot in Belgium. The 104th Infantry Division was joined with the First Canadian Army to capture it. That supply depot was a principal German objective during the last great German offensive of the war, the Battle of the Bulge, in December, 1944. The combined Allied armies, including the 104th Infantry Division, pushed the Germans back into Germany. There Sam personally witnessed the horrors of the Nazi regime. In early April, Sam’s unit arrived in Nordhausen, an auxiliary facility of the Buchenwald Concentration Camp. The first Americans to make contact with the Russians in April, 1945. Sam is third from the left. On the evening of April 23 Lieutenant Harlan W. Shank, Sergeant Jack Adler, Corporal Bob Gilfillan, and Corporal Sam Stanovich of the 104th Reconnaissance Troop, plus a liberated Russian officer, crossed the Mulde, headed for Torgau on the Elbe. Sam had volunteered for the mission. It was a mission filled with uncertainty. All alone, without any support, the five had to cross territory occupied by many German troops, about 30 miles from Berlin. 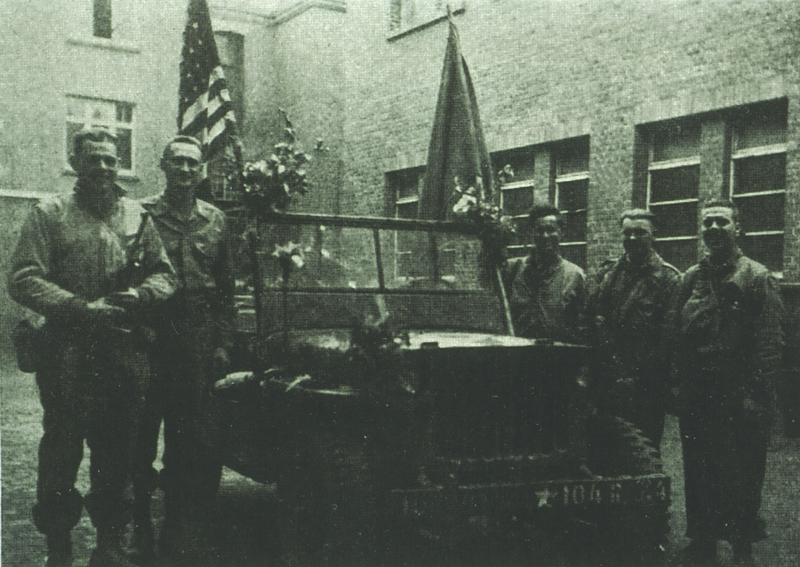 Although they were surrounded by the enemy, they took the bold step of mounting an American flag on their jeep. Along the way, the four Americans encountered a German colonel who was in command of 1,200 troops. On their way back to the American front, the patrol met up again with the 1,200 German troops. The end Gilfillan anticipated came just 10 days later. Germany surrendered officially on May 8, 1945. Unfortunately, the war with Japan continued. Many American soldiers, including Sam, were sent to California to train for an invasion of Japan. Many were expecting a 90 percent casualty rate in that attack, but the atomic bombs on Hiroshima and Nagasaki brought about Japan’s surrender before their training even began. Maybe the army didn’t make a soldier out of Sam, but he came out of it a good man. He delivered mail in Farrell 30 years. His passion was coaching Little League baseball. In 1965, his team made it all the way to the state finals. During his first Vietnam tour in 1965, Lance Cpl. 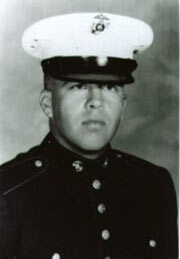 Terence Edwin Klaric was severely wounded. 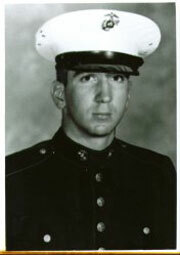 After spending more than a year in a hospital in the United States, he volunteered to return to Vietnam. 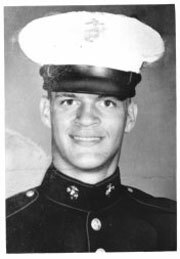 In December, 1966, he was assigned to the Combined Action Program with Headquarters Battalion of the 3rd Marine division, in Quang Tri, the northernmost province in South Vietnam. At that time in the CAP, a Marine rifle squad and a Navy Hospital Corpsman would live in a village and work with a Popular Force platoon to provide security against the Viet Cong. The objective was to develop the Vietnamese forces to the point where they could protect the village by themselves. They also helped the villagers with humanitarian aid, such as digging wells, building schools, and the development of other humanitarian projects. With only about a dozen men, far from any units that could provide quick support, the teams were extremely vulnerable to enemy attack. Many were overrun, often with few or no survivors. As to Lance Corporal Klaric’s actual role in this, we know little other than the fact that he was killed on May 5, 1967, probably by an enemy grenade. The Headquarters Battalion Command Chronology covering May 1967 covers such items as the opening of a new mess hall on May 7 for sergeants and below, with an enlisted club attached. Lance Cpl. Klaric might have enjoyed that, if he had still been alive. The report also details the work of the Dental unit – 5365 procedures on 2304 Vietnamese patients, and the distribution of precisely 1027 toothbrushes. Recorded for posterity is the fact that the headquarters communications center processed a total of 45,922 messages during that month of May. What the report doesn’t include is any details about actual combat operations, other than a terse listing of the unit’s casualties: 7 officers wounded in action, 5 enlisted men killed in action, 50 enlisted men wounded in action. Names of those casualties are not included; but we know that one of those enlisted men was Lance Corporal Klaric. Other than that fact, of course, none of the other details matters to his parents, Farrell residents Peter and Edith Parker; or to his two sisters and five brothers. 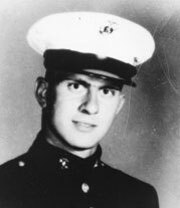 Lance Corporal Klaric was the seventh man from Mercer County and the second from Farrell to be killed in action in Vietnam.